REUTERS/Toru HanaiTakata is testifying at the U.S. Senate. 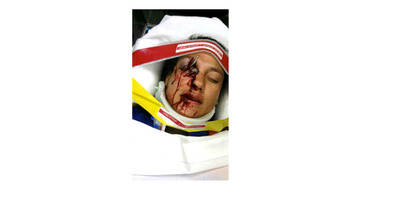 Editorial note: This post contains a graphic image of an injury resulting from a exploding airbag deployment. Executives from Takata, Honda, and Chrysler are testifying at the Senate on Thursday. Takata is currently dealing with a massive global recall of airbags the company manufactured that were installed in millions of vehicles worldwide. Five people have died, all in Honda vehicles, when the airbag inflators have malfunctioned, sending metal shards flying into the cars’ cabins. Thus far in the recall, a limited number of images of actual injuries has emerged. But on Capitol Hill today, at the Senate Committee on Commerce, Science and Transportation, Senators saw a photo of what can happen when a Takata airbag’s inflator shatters, sending shrapnel into the face, neck, and torsos of vehicle occupants. Appearing as a witness, Stephanie Erdman testified about her 2013 accident in a 2002 Honda Civic in Florida. She was driving, and when the crash occurred — described in her testimony as a “moderate frontal impact” — her airbag deployed, the inflator casing fragmented, and a piece of shrapnel was embedded in her nose, puncturing her right sinus near her right eye. US SenateStephanie Erdman suffered horrific injuring when her Honda’s airbag malfunctioned. Erdman said that she has endured “multiple surgeries and therapy” and has “more of them to go.” Her vision, she said, will never be the same. Erdman claimed that she never received a recall notice that Honda sent her in 2010, and that during three service visits to her Honda dealership, she was never informed that her Civic was under recall. The text of her full testimony is available here. 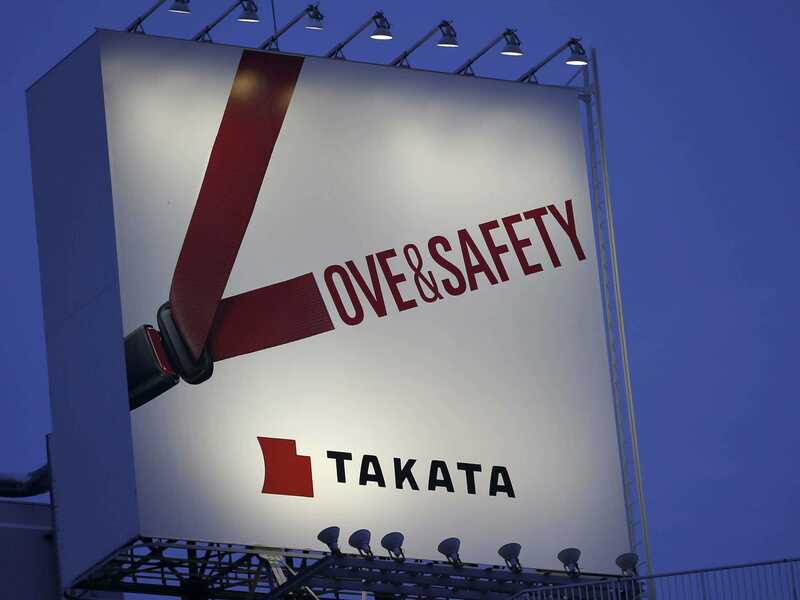 The National Highway Traffic Safety Administration this week expanded its demand for a recall of vehicles with Takata airbags from a regional to a national level. Previously, the recall affected only vehicles in a few states amd territories where high humidity was considered to be a factor in causing the airbags to malfunction. Florida was covered in the initial recalls. In the aftermath of two major recalls in the last five years, involving Toyota and General Motors vehicles, questions have arisen about why Takata and the numerous carmakers using its airbags took so long to undertake aggressive measures to remove the potentially deadly components from cars. NHTSA has also been criticised for moving slowly to expand the recall.